Place all the ingredients in the crock pot and mix. Turn on low for 6 hours or high for 3 hours. 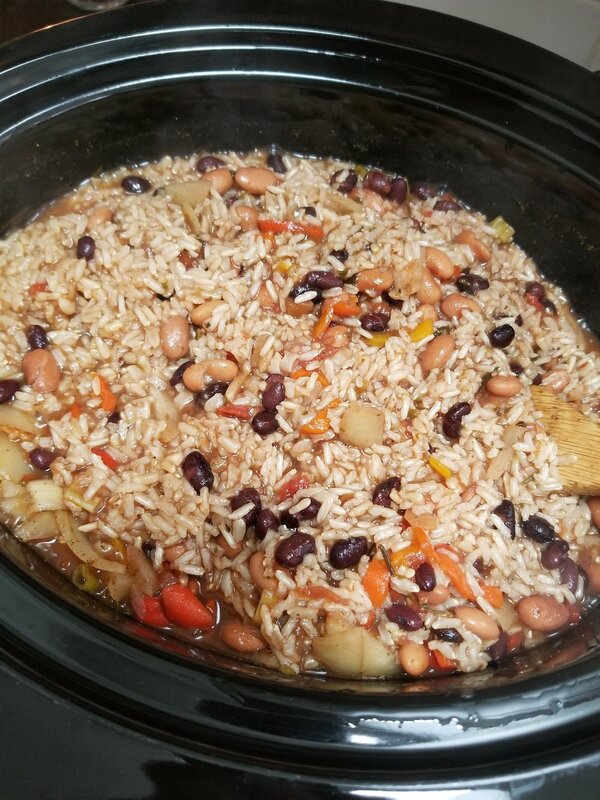 Check half way through to make sure the rice is adsorbing nicely with the other flavors. Serve as a burrito filling or as a hearty bowl of hot dish with guac and chip on the side.